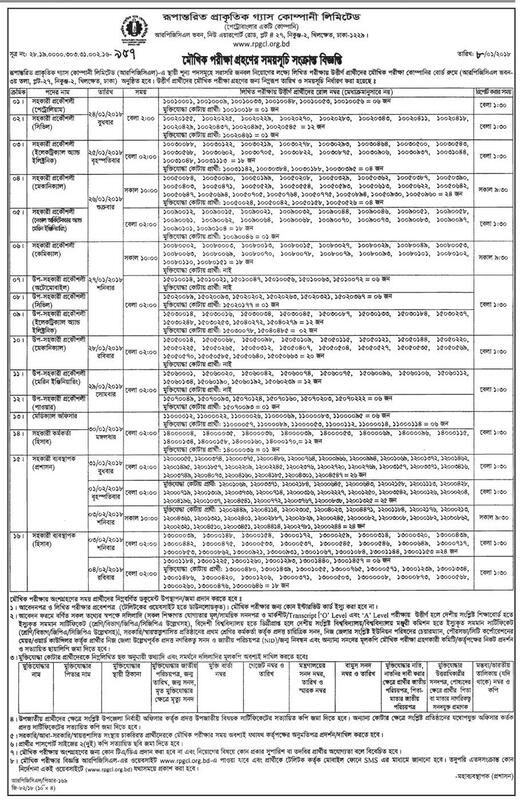 Rupantarita Prakritik Gas Company Limited published New job vacancy Notice at www.rpgcl.org.bd . RPGCL Job Circular offer New vacancy in this post. Minimum Master Degree Student also apply this RPGCL govt circular 2018. Rupantarita Prakritik Gas Company Limited Seat Plan published. RPGCL Seat plan has been Published for Different Position. RPGCL Viva Voce will be started from 24 January 2018 and it will be continue up to 4 February 2018. To Search your Seat plan and Viva Schedule follow the image below. If You want to apply Rupantarita Prakritik Gas Company Limited RPGCL govt job circular through online you have to visit there official website. For Next Updates about RPGCL Job circular Vacancy Notice,Exam Result or Admit card Download stay with us. This entry was posted in Notice and tagged Govt. jobs, Job Viva Date by Raju Ahmed. Bookmark the permalink.